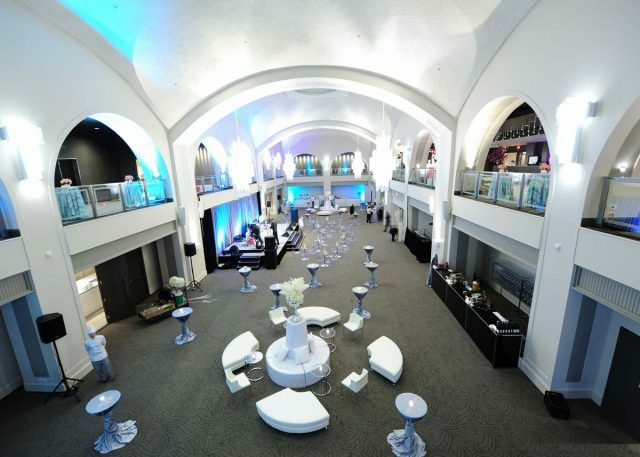 One of Toronto’s most sought after event venues, this event complex exudes historic charm and modern sophistication in its two distinct venues — the revitalized Arcadian Court and the contemporary Arcadian Loft — and offers interactive experiences in its kitchen studio — Arcadian Studio. The grand Arcadian Court has been restored to its art deco glory, featuring modern new amenities, while a flexible modern space has also been created in Arcadian Loft. Together, these two spaces form a unique venue which will meet the needs of any event or occasion. Arcadian Studio is also available for a variety of interactive chef-led culinary experiences ideal for both social and corporate events. The court boasts beautiful chandeliers inspired by the original Lalique crystal chandeliers. The loft’s décor includes open concrete ceilings, a reclaimed grey washed brick accent wall, over-sized metal warehouse doors and spectacular views of Old and New City Hall. A unique and memorable venue that can meet the needs of any event or occasion. 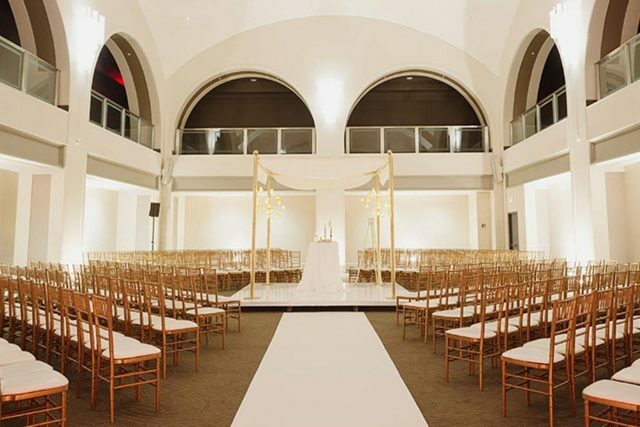 Arcadian event complex is one of Toronto’s most sought after event and wedding venues, offering the perfect mix of modern elegance and historic charm. 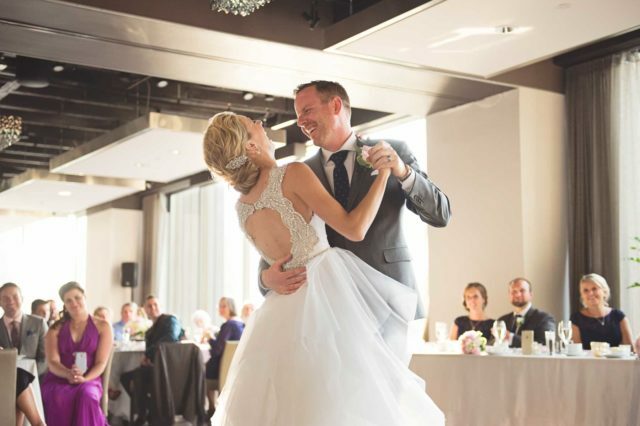 With two unique wedding spaces — the revitalized Arcadian Court and the contemporary Arcadian Loft — Arcadian has the flexibility to accommodate large wedding celebrations or intimate wedding affairs. 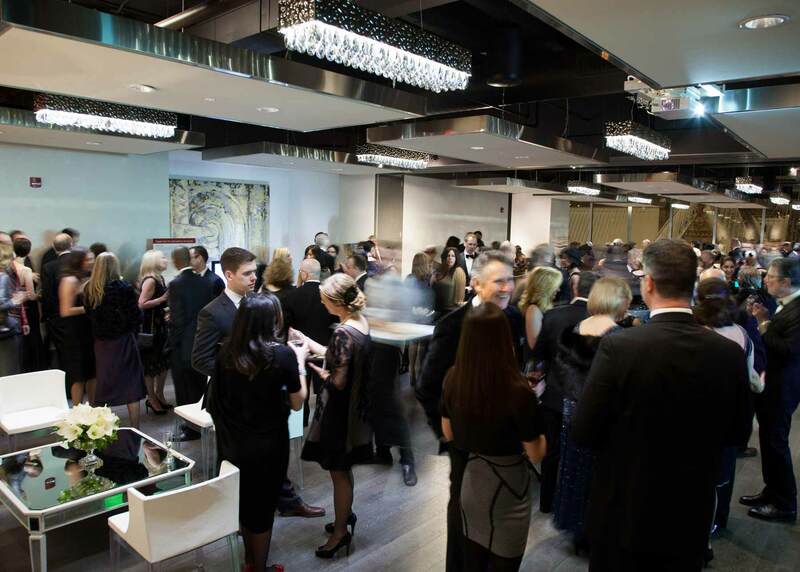 When it comes to corporate events in Toronto, Arcadian’s event spaces can accommodate business gatherings big and small. 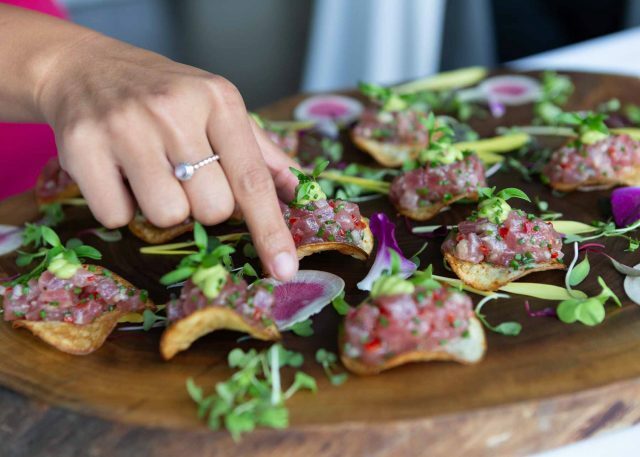 Our extensive experience in delivering exceptional food and service, combined with our flexible corporate event spaces, sets us apart as a brand you can trust with all of your business and client needs. Come together and celebrate all of life’s milestones in style at Arcadian. 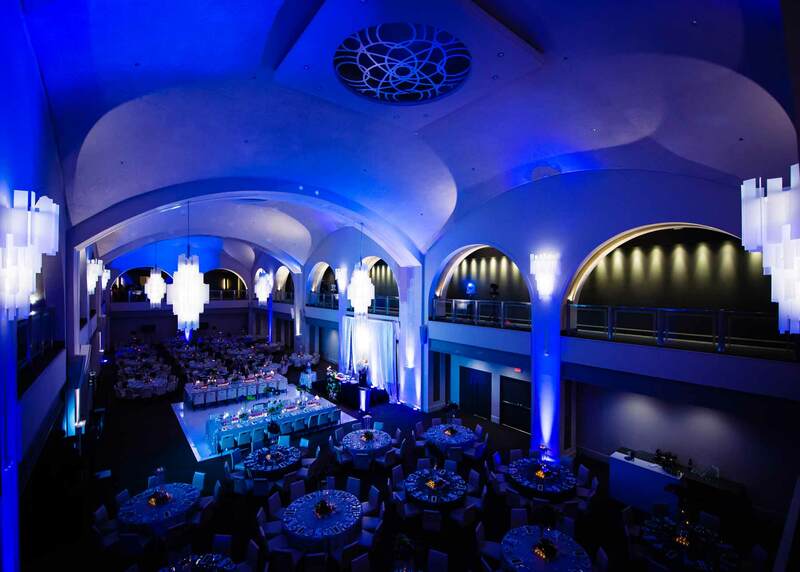 From a glamorous New Year’s celebration in Arcadian Court, to a high fashion runway show in Arcadian Loft, our unique spaces can bring any event vision to life. 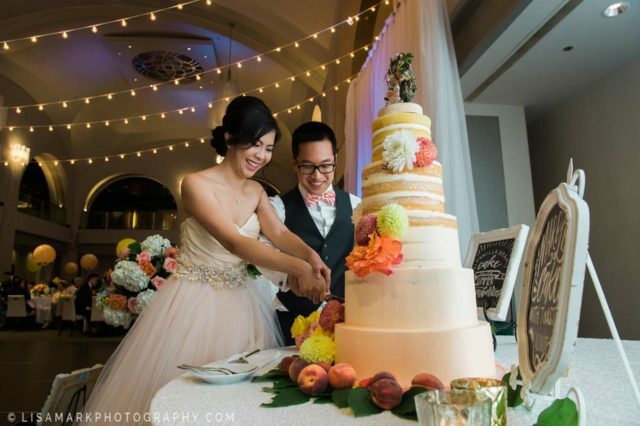 Arcadian is a versatile event space, with a maximum total capacity of 1500. Arcadian Court, an elegant ballroom, can accommodate up to 450 seated guests, and 1200 for a standing event. Arcadian Loft, a modern space overlooking the city, can accommodate anywhere from up to 250 seated guests and 400 for a standing reception. The Arcadian Studio can comfortably accommodate up to 30 guests for a chef demonstration. Chef enjoys guests counts of all sizes, so an intimate group also works. 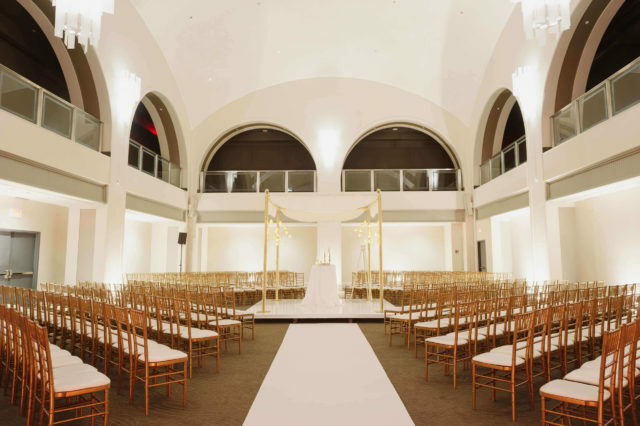 Can you accommodate a kosher event? Absolutely. We have partnered with three of Toronto’s top kosher caterers to be able to offer you and your guests fine kosher dining at your event. Please contact an O&B Event Coordinator to arrange this. The floor manager will be your direct onsite contact on the day of your event. Is there a minimum requirement? Use of Arcadian is subject to a rental fee plus a minimum spend requirement for food and beverage. If the minimum spend requirement is not met, the difference will appear as an additional room rental fee on the final bill. Please see the event package for the minimum spend breakdown. Use of the Arcadian Studio is subject to a rental fee plus a minimum spend requirement for food & beverage. If the minimum spend is not met, the difference will appear as additional room rental fee on the final bill. Please see the event package for the minimum spend breakdown. The contract may be terminated with formal written notice from one party to the other within 15 days of signing. A $500 administration fee + applicable taxes will be deducted from your deposit. All deposits and payments are non-refundable if notice of cancellation is received after the 15 day period. 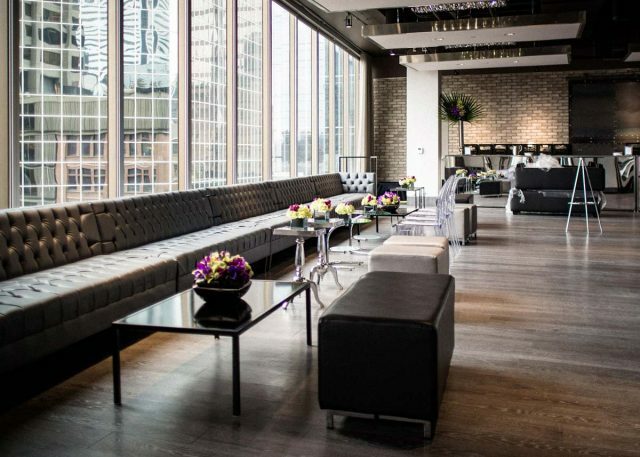 Oliver & Bonacini Events reserves the right to terminate any function for which payment of final estimated invoice has not been received five (5) business days prior to the function. What do I need to know about Arcadian Studio? How many guests can I have for a chef demonstration? What chef will conduct my tasting? 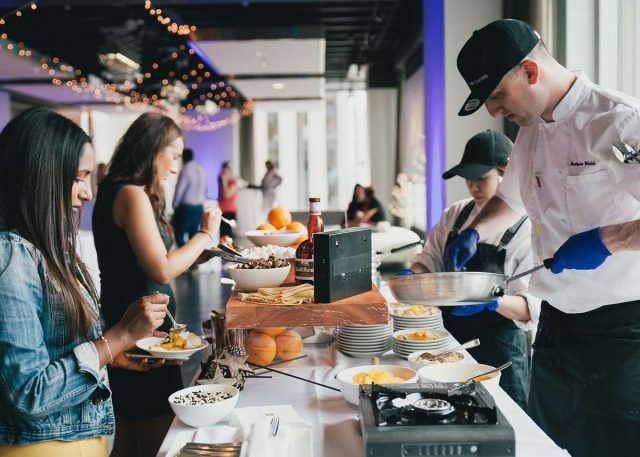 The chef for your event will be selected from our roster of talented event chefs. The chef for your event will be confirmed a week from the event date, and if requested a biography can be provided by your event coordinator. Specific chef requests from our company portfolio can be accommodated but will be subject to availability and may increase the price of the demo fee. What is the recommended set up for my chef demonstration event? Due to the interactive nature of the event, we recommend a classroom style or U-shape set up of the space. Your event coordinator would be happy to discuss the details of the set up with you in detail upon booking. Is there a fee to rent the space, and a minimum spend requirement? Can I rent the studio, but not have a chef demo? Yes, we are happy to host an event in the studio with no demo component. For a standing reception, the capacity is 90 guests. For a seated event, the capacity is 40.